Want to have a brighter home interior? Want to create a relaxing environment around your living room? Or perhaps beautify your garden and improve your homes street appeal? You can certainly achieve these when you replace your old lighting with new and improved lighting designs. The type of lighting you use and how it is designed affects the overall appearance of your home. Aside from that, it sets the atmosphere around your house and makes it a more desirable and functional place to live in. There are tons of benefits you can get with proper and well-designed lighting installations. If you are currently using old types of light bulbs and fixtures, it would be a great idea to replace them with modern ones such as LED’s and Compact Fluorescent Lights. These types of lighting do not only enhance the aesthetic appeal of your home but could be helpful with your energy bills since they’re proven to be more energy-efficient compared to traditional halogen globes. Although replacing your homes lighting may seem easy, there are necessary steps you must follow right before you do it. Some of the factors you must consider are your needs and your budget. You must be able to come up with the most suitable lighting design for your home. At ACE, we are very well experienced and knowledgeable of modern trends and general lighting setup and design. So we are extremely happy to assist you in your planning process. 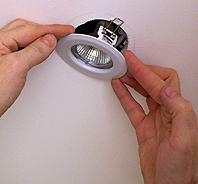 Aside from giving you professional advice and recommendations, we also install the lights for you. We make sure that they are securely attached and placed in the appropriate location where they are most efficient. We are skilled and qualified electricians who has over 15 years of experience in lighting installations. Here Are Things To Do And Keep In Mind When You Decide To Replace The Lighting In Your Home In Sydney. Planning is imperative when it comes to replacing lights especially when you plan on changing your entire lighting design. Even when you want to add just a handful of lights, there is still a need for planning. You have to think carefully what type of lighting system would best fit your house and needs. This is something which shouldn’t be done last minute and must be planned thoroughly. When done with proper and wise planning, you will surely realize good results. 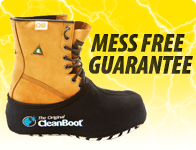 Since this involves with electricity, this is a matter that you should leave to the experts. 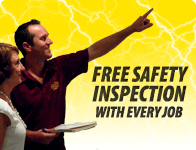 Choose a reliable electrician around your area to carry out the job in the safest way possible. Your safety should always be on top of the list, so you have to ensure that the design should not cause any electrical trouble in the future. Aside from thinking about safety, you have to think of the long term effects of the type of lights you are about choose. There are many modern lights nowadays that promise energy efficiency, choose those. The leading lights in energy efficiency are CFLs and LED. Compared to traditional ones, LEDs are more efficient by 95% and use lumens rather than watts. If you want to save more money on your electricity bills, the best choice would be to go for LED. There are also dimmable lights available in the market. Dimmers are ideal for night time use when there is not much need for illumination. You can use these to avoid wasting electricity. Determine and keep in mind your current needs when deciding which design to use. Choose the appropriate type of lights to set the mood and brightness you want for specific areas inside and outside your residence. Consider your existing decorations as well. You must make sure that the lights you replace blend with your home decors, otherwise, everything would not look good and would only be a waste of your money and time. You may hire a trustworthy professional to do the job for you. In this way, you can guarantee better results. Task lighting is best when you want to fulfill tasks. You will need bright lights for these especially when natural light can’t penetrate inside your house. You have to put good illumination in areas where you usually do some work such as your kitchen. You make use of ambient lighting to set the mood around the entire residence. This creates a more relaxing environment. Lights are used to improve the interior and exterior of your house. Choose well-designed ones which are also suitable for your existing home decor. You can install chandeliers and pendant lights for added beauty. Chandeliers are ideal for dining spaces and for your living room. Pendants look good in bedrooms and lounge rooms. It is a great idea to install lights along driveways, pathways, your stairs and at your front door. Doing this helps you create a welcoming feel to your house and enhances security especially when you make use of sensor lighting. These type of lights prevent intrusion by alarming you whenever there is an attempt. Still stuck on how to use various types of lighting or lighting features in your home to improve its look and feel? Click HERE for loads more helpful information and tips and tricks!